One landing page just doesn’t cut it. That’s not only true for most marketers, but especially applies to anyone starting out with their online marketing efforts. Why won’t one landing page do it? Because you need to learn. You need to learn about your customers. You need to learn about their preferences. You need to build individualized landing pages that address their specific needs and concerns. Effective marketing requires unique landing pages for multiple areas of your website, social media, email marketing, referral partners, traditional marketing, etc. 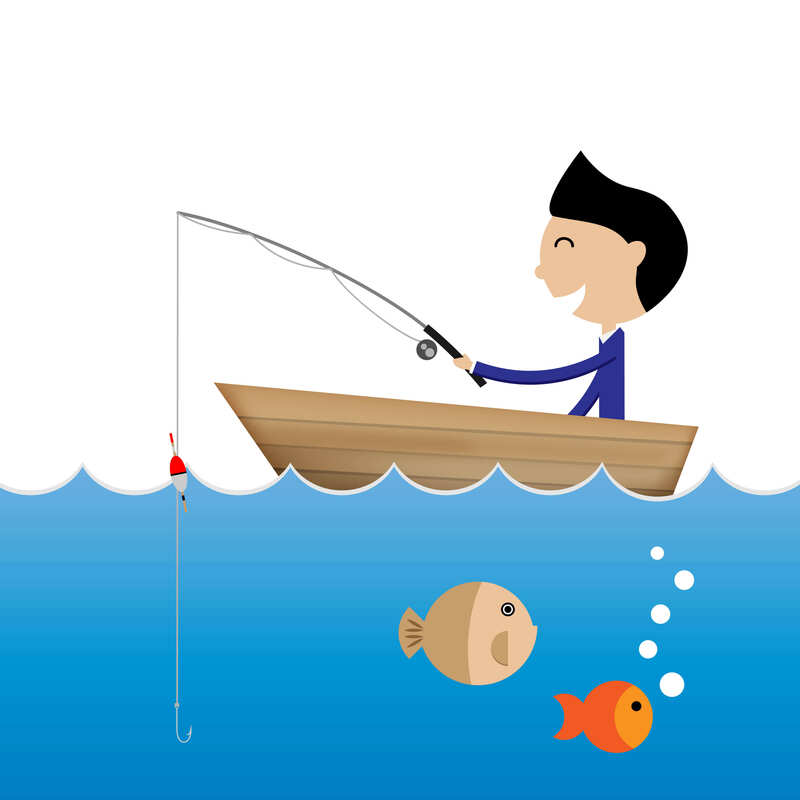 1 catch-all landing page means general messaging and lower conversion rates across the board. It’s also harder to track what’s working and what isn’t. In short, you need a lot of landing pages. How many? One is a start. Three is good. But a dozen or more is better. It’s popular to call this strategy A/B testing, but really, you can test a multitude of variables at once. With a large enough sample size, you can test just about everything. The more landing pages you have, the more opportunities you’ll have to test variables in your marketing efforts. You can test headlines. You can test colors. You can test your calls-to-action. You can test just about anything that appears on the landing page—and even elements that do not. With enough landing pages, you can even handle tracking of each individual element with more precision. Worried that no individual landing page will get enough traffic? It’s better to learn how to convert your existing traffic than drive thousands upon thousands of visitors to a landing page that doesn’t convert the way it should. That’s why it’s so important to leverage your landing pages as A/B testing opportunities. Let’s say that your website traffic tends to be of a different demographic than your Facebook traffic. Many online marketers notice this exact situation. Would you want to send them both to the same landing page? Or is it better to send them somewhere that is tailored to their specific needs and concerns? You’ll stand a better chance of converting them into leads when you better relate to their specific segment. Direct mail. Not only do you have a strong idea of your audience segment with direct mail, but you’ll be able to take your mail recipients to a customized landing page that’s an exact match of the offer and messaging in your mail piece. I know you want the phone to ring, but most people don’t want to pick up the phone and talk to a salesperson! Having a solid plan B (a high-conversion landing page) tied into your direct mailers will help you capture many of the people that aren’t comfortable calling in. Email blasts. You can track the success of your email blasts by sending them to a landing page of your choice. And again: you’ll enjoy better conversion rates when the landing page you’re driving your email recipients to reflects the messaging and offer in your email. Social media posts. Do you have specific contests or other sales going on? Are you targeting a specific client type or demographic? Social media offers unparalleled access to the exact people you want to go after. Driving your audience to an effective landing page with the right lead capture will ensure your clicks are converting into leads… after all, you can’t do business with clicks! Your blog or website. Your blog/website is a great place to identify prospects that are already “warm”—i.e., they already know you—which you must direct to targeted landing pages in order to convert them into leads, and eventually clients. Other types of ads, including radio, signage, PPC, etc., will help you create specific audience segments that you then whittle down through A/B testing and the creation of targeted landing pages. When it comes to landing pages, one size does not fit all. That which entices a 30-year-old looking for a mortgage on their first home might not entice a 65-year-old thinking about retirement. In the world of mortgage marketing, you understand just how different people can be. They have their own wants, needs, and desires. They’re looking for different things. That’s why creating landing pages with audience-specific offers is so important. Don’t divide your audience into one or two segments with just one or two landing pages. Think about the broad swath of clients you work with on a regular basis. How many of them are exactly the same? That’s why it’s so important for you to figure out what it is that makes specific segments tick. You can target one demographic through one channel while you bring in completely separate demographic through another. All the while, your highly specified landing pages will do a better job of capturing each new potential client as they come in. This isn’t just a good way to stay organized. It’s an essential way to have a leg up on the competition that doesn’t target their potential leads this way. It’s how you’ll get comments like, “it feels like you understand my needs.” Why? Because you do—and a highly targeted landing page is a demonstration of that fact. The more you divide up your landing page efforts, the easier it’s going to be to track all the information you need. Conversion rates for a specific audience? Tracked. Add it all up and you’ll have plenty of essential, actionable information that you can then use in your marketing efforts. Even if you’re not A/B testing, tracking which landing pages are giving you the best performance is a sure way to get a clue about what really resonates with your audience. Effective tracking is about specificity. That’s why it pays to get specific about your landing pages. If you create two or three general landing pages, then you’re not necessarily going to have a lot of success. If you create 10… 20…. 30… however, then you’ll understand just how powerful information can be as it relates to your marketing efforts. It’s important to run effective analytics as you track your landing pages. Fortunately, there are plenty of platforms for handling this. What’s important to remember is that separated, targeted landing pages will give you much more information when it comes to maximizing your conversions. If you’ve read this far, it’s entirely possible that your head is spinning. But the process is much simpler than you might think. For starters, creating a landing page in this day and age is incredibly easy. With the right platform, you can create landing pages with a few clicks. Second, it’s not difficult to track a wide range of landing pages. All you have to do is ensure that you have the proper tracking built-in. Many types of software today will do this for you. So don’t let the idea of too many landing pages overwhelm you. More landing pages is better. More landing pages give you more options. 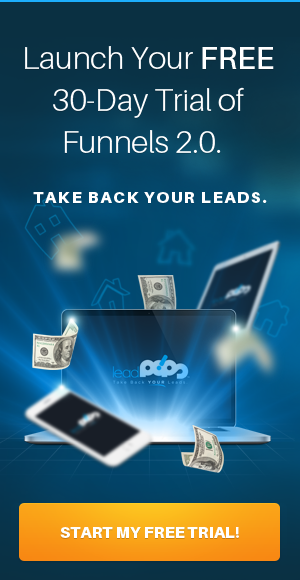 You’ll have more quality leads and sales. You’ll do a better job of specifically targeting segments of your audience. On the whole, having more landing pages will be a vast improvement for your web presence, helping you to better reach out to those who need your services. Want more information on getting this done? 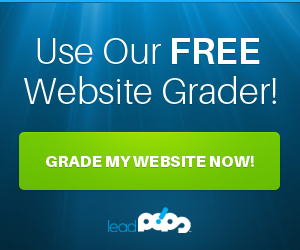 Then click over for a free trial of leadPops, and make optimized, high-conversion landing pages a successful part of your marketing strategy.